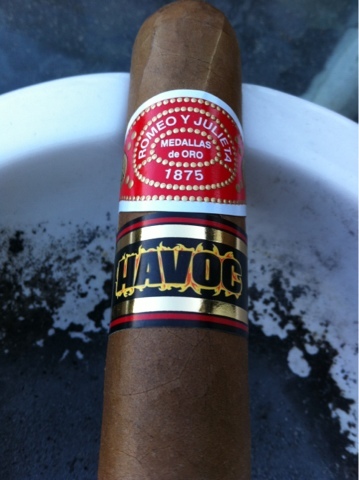 Appearance (0-20): Romeo Y Julieta gives you their typical band with red, gold and white, but it’s supplemented with a black, red, and gold band that boldly states the word “HAVOC” with flames emanating behind it. It looks like they are trying to keep the name brand they already have and give it new life. 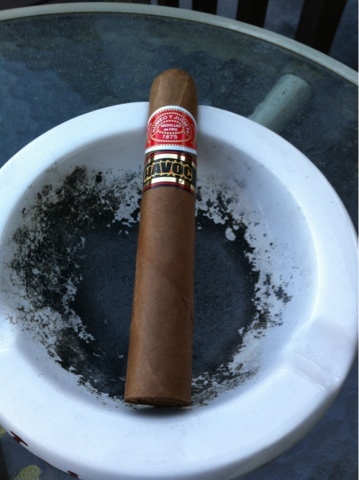 The light Habano wrapper looks pretty good on the outside, though the overlap of the leaf seems a little clumsy. A couple of smaller veins can be seen, but overall it’s an intriguing cigar, and at a 5”x56 size, it is a fat little fella. 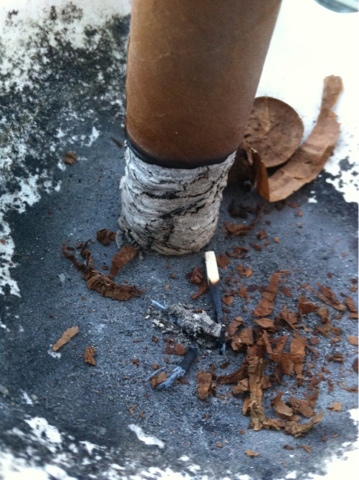 Construction (0-20): A decent amount of tobacco fell directly off the end upon cutting, and it made me cringe almost immediately. While I feared this could be a dud, due to the beginning I was having, I knew better than to just write it off. Feeling along the length of the cigar, it was very well packed. A cold draw showed this to be perfect, and the light was both simple and efficient. It maintained a nice cool burn throughout, retained the ash for over an inch and a half at a time, and managed to absolutely billow smoke. Honestly, this might be one of the smokiest cigars I have ever tried. Strength (0-20): Medium bodied blend that compliments the flavor profile very well. As the cigar traverses, you’ll find it leaning more toward a full bodied experience. Value (0-20): When paired against other cigars in the price range, I think this one would hold its own pretty well, though I don’t think it’s a huge bargain cigar either. Additional Notes: Smoked on my deck while drinking a homebrewed beer. 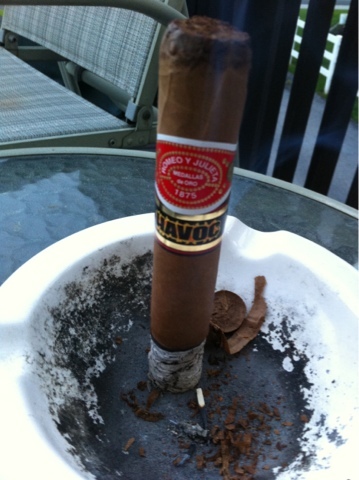 Overall (0-100): The Havoc is a departure from the norm for Romeo Y Julieta, and it is very well served. It scored pretty well across the board, but really didn’t shine in any way either. I was personally disappointed that there wasn’t more complexity in the smoke, even though I did find the flavor concoction to be a good one that is well balanced. This is a cigar that both fans and haters of Romeo will enjoy, which may have been exactly what they were looking for – its smooth, tasty, and smoky… but doesn’t fall into the normal Romeo routine.